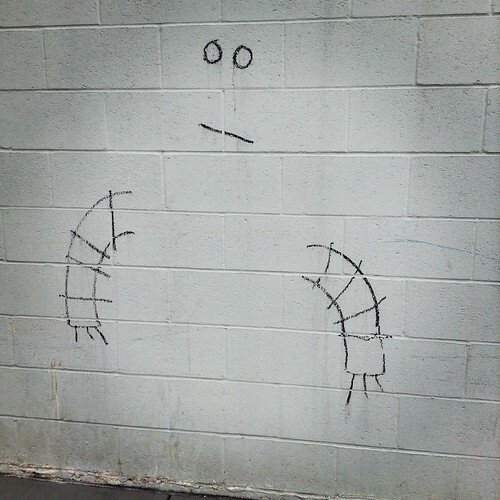 Not so long ago, I noticed this drawing on the back side of the Rindge & Latin High School in Cambridge. Ah ha! 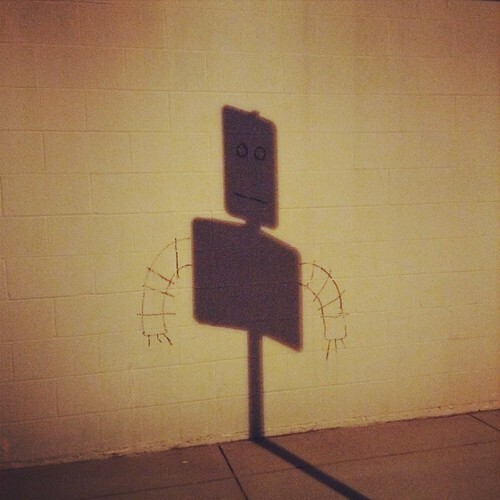 A perfectly placed street sign turned this bit of silliness into a full-on character, with personality. (Maybe that’s why no one has yet painted over it?) Other than graffiti or street-art, I don’t know what one calls this type of offering, but I’m a fan. Every time I pass, makes me smile. Long live the Street Sign Guy.